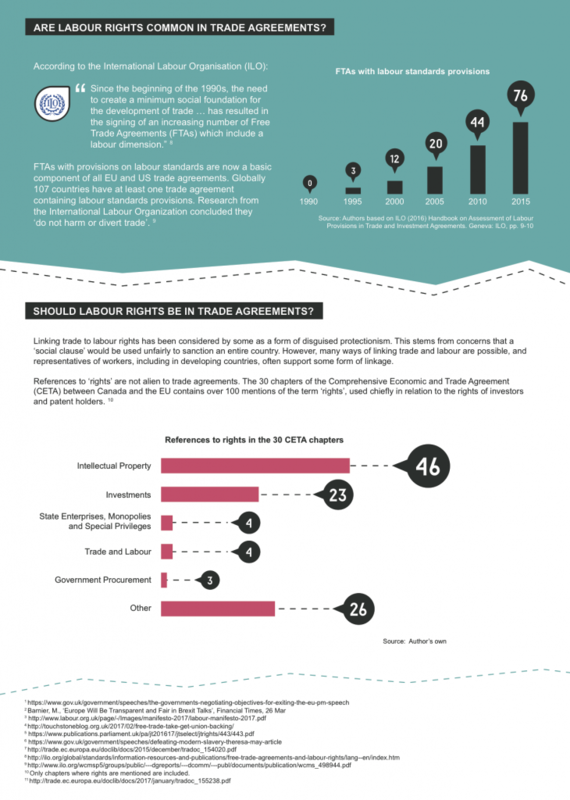 How should labour rights be addressed within a UK-EU trade agreement? 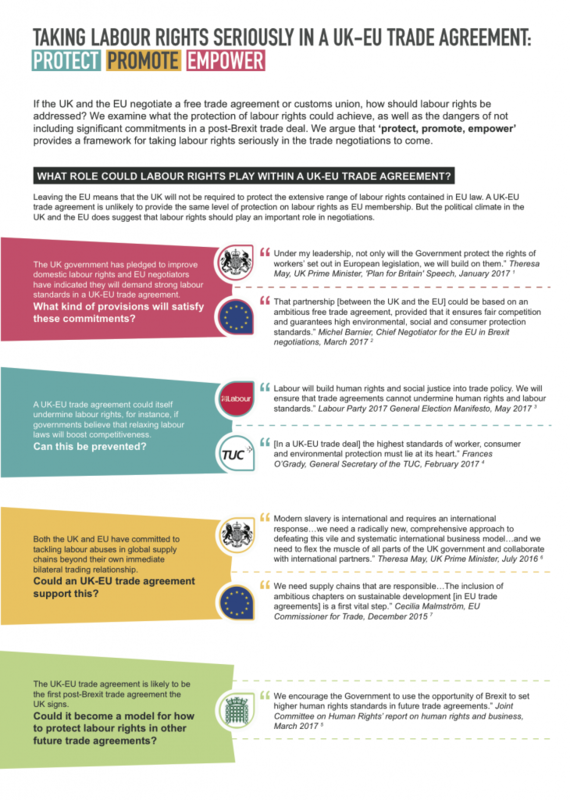 We examine what the protection of labour rights could achieve, as well as the dangers of not including significant commitments in a post-Brexit trade deal. 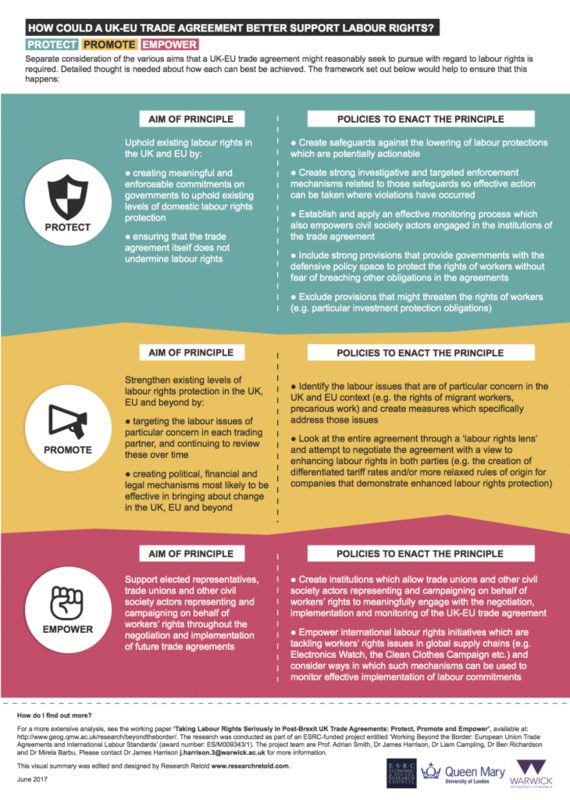 We argue that ‘protect, promote and empower’ provides a framework for taking labour rights seriously in the trade negotiations to come. 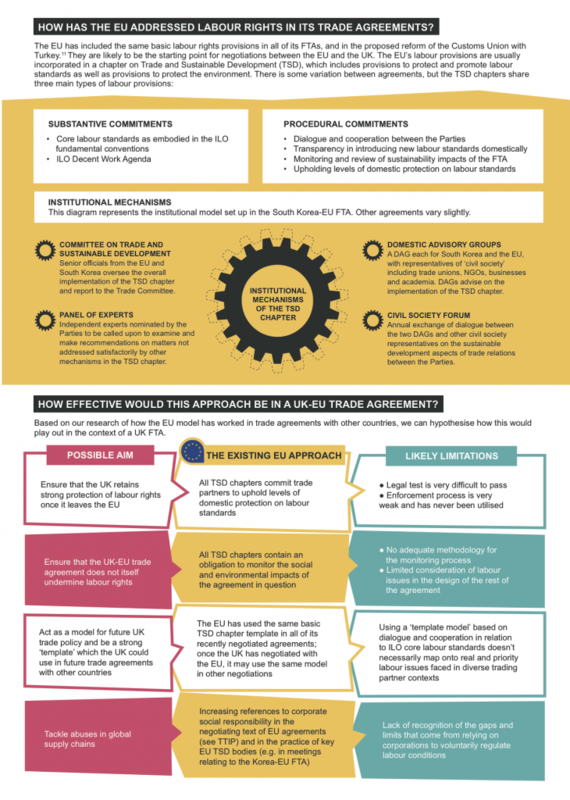 The research was conducted as part of an ESRC-funded project entitled ‘Working Beyond the Border: European Union Trade Agreements and International Labour Standards’ (award number: ES/M009343/1). The project team are Prof. Adrian Smith, Dr James Harrison, Dr Liam Campling, Dr Ben Richardson and Dr Mirela Barbu. Please contact Dr James Harrison (j.harrison.3@warwick.ac.uk) for more information.